Not only collecting 10,000 sheets of ancient batik cloth original from Indonesia, The Batik Kuno Danar Hadi Museum also smell jasmine and ylang ylang flower. The using of this nature flower is turn out to be one way to keep the quality of the Batik so it’s still durable and long lasting. If using synthetic perfumery, the quality of the Batik cloth will be descend. Management also forbid visitors touch the cloths or take a picture with blitz. "Man’s hand contain salt so it can damage the cloth while the blitz light from the camera can fade the color of the cloths," said Tuti, the public relation of Batik Danar Hadi Museum. 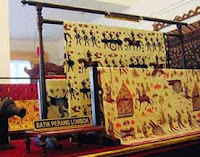 Ancient Batik Danar Hadi Museum has collections almost 10,000 sheets ancient batik cloth. But, not all of the collections were displayed in the museum, only about 700 sheets displayed. "Every seven to nine months we’ll change the other collection," Tuti explained. 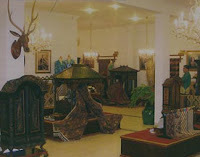 This Museum has a theme "Batik : Ages influence and environment". According with the theme, the collection of batik cloth which displayed were categorized in several type. There are Dutch’s Batik, China’s Batik, Java’s Batik, hokokai, India’s Batik, Batik Kraton, batik sudagaran, batik petani, batik Indonesia, and batik Danar Hadi. 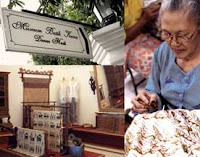 Visitors not only see batik but also see the manufacturing of batik cloth : batik tulis (handwriting batik), batik cap (stamped batik) or batik printing at the back of the museum. To make visitors easier to go around and get information about batik easily, This museum was completed with instruction, guidelines, tour guide and communication aid about history of batik cloth, the specific characteristic, and motive of the batik cloth which placed on every batik clothed which displayed. The existence of Ancient Batik Danar Hadi Museum is dedicated to conserve batik and also to catch tourists as many as it can to come to Solo "We have orientation to tourism not for commercial. We will promote batik as the Indonesian original culture. We also have packets for heritage tour," said Diana Santoso as Managing Director House Danar Hadi. Visitors can follow the packet trip which offered by this museum, such as packet tour for ancient batik and ancient Java architecture, nDalem Wuryaningrat and discussion about batik in the gallery. It costs about Rp 30,000 s/d Rp140,000 for a man. There is also workshop for making batik tulis (handwriting batik) one color, about 175,000 a man, handcraft packet (batik course) for 5 days, costs about Rp 500,000 up to Rp 840,000 a man. First day was start with visiting the ancient batik museum and ancient Java architecture at nDalem Wuryaningrat. Then continue with discussion about batik which located in the gallery. Items of detail and theory about process manufacturing of Batik was given after lunch. On the second day, participants will be given a theory about raw material, coloring agent, patterning, and then practice to make batik. Third day was start again with practicing how to make batik again then continue with how to dye (coletan). On the fourth day, participants will be given practice about menutup (closing process) then continue with dye and sunken process. And for the last day, participants are practicing to closing, yoga, sunken and end up with evaluation. House of Danar Hadi (HDH) officially launched by Minister of Culture and Tourism, Jero Wacik, on August 22nd 2008. HDH is One Stop of Batik adventure, you can get information about Indonesia batik and shopping especially products made from batik at the batik Danar Hadi showroom. Inside the HDH area, there is a historical building, Dalem Wuryaningratan. This place was belongs to KPH. Wuryaningrat regency, grandson of Pakubuwono IX, and son in law of King Surakarta I.SK.S Pakubuwono X. This building was established in 1890. HDH also facilitated with Sasana Mangunsuka building, contain Danar Hadi Batik Collection and stage for fashion show. Not for long time again, HDH will built souvenir shop which sell handicraft and souvenirs from HDH and also HDH CAFÉ which serve many kind of Solo food and beverage.